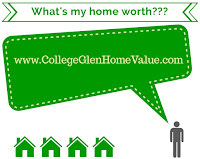 Your basic household drain pipe is a fairly simple device. It has one job: to take liquids away to the sewer. Where water treatment experts somehow magically turn those contaminated fluids into clean ones again. The circle of inside plumbing is really kind of magical. Until, of course, something causes the system to grind to a halt. If your sewer isn’t sewering, you’ve got big problems. When your sewer line is working, you barely notice it. But when things start to go wrong, well, life gets pretty interesting. A failing sewer line can be a huge mess and a big expense that just gets worse the longer you ignore it. This isn’t a problem you can handle yourself, you will need an expert to help. Water backing up in the lowest drain in your home. Water from one drain backing up into others. If these things happen occasionally, you may not have a real problem, but it’s still a good idea to call a plumber to check out the sewer line to ensure that any issues are addressed before they become nightmares. Material Failure. Although there are some clay sewer lines from Ancient Rome still intact and theoretically functional, your sewer lines are probably going to reach a tipping point where the materials begin to erode, corrode or weaken until they fail entirely. Modern materials like PVC may be able to outlive older pipes made of cast iron or bituminized fiber, but even PVC can and will fail eventually. Tree Roots. If you have trees and you have a sewer line, you’ve got a recipe for disaster. Large trees often have a very wide root zone that can eventually penetrate anything in the way. Roots in sewer lines is a very common issue in areas hospitable to large trees. If this is the heart of the matter, you may find that you only have intermittent problems with the line backing up. You still need to call a plumber. Shifting Earth. As previously mentioned, earthquakes and other natural events that cause the ground to shift can also cause your sewer line to shift. Even very heavy rains could result in pipe shifting, depending on your local soil makeup. A pipe that has shifted may end up with too little slope to carry water reliably to the sewer. Crushed Pipes. Although it’s uncommon, you can actually crush a sewer pipe that’s installed and actively functioning. Again, the soil makeup matters here, but you should never drive heavy machinery over your sewer lines — that extra weight is felt below the surface, too. These are the most common causes for sewer line failure. Other very rare situations do occur and ultimately, the only way to be sure what’s going on with your sewer line is to send a camera inside to look around. If your plumber determines that your sewer line has failed, it’s going to be a big deal. There’s no sugar coating this. Depending on what type of solution you and your plumber decide on, you may have deep trenches dug across your yard and a lot of chaos until the work is complete. However, at the end of the process, you’ll know your sewer line is in working order, so you’ve got that going for you. There are two main methods that are used to repair sewer lines: total replacement of the old line (or the part that has failed) and relining. Having a brand new sewer pipe is worth a lot of agony, especially when you consider that most plumbers have the equipment to dig up your old sewer line, inspect it and replace the damaged bits. This is generally a less expensive method of sewer line repair, but it comes with a lot of hassle and mess. When your sewer line issues are minimal and involve cracked or root-invaded sections of pipe, it’s possible to reline the pipe using one of several methods, including cure-in-place and pull-in-place pipes. Essentially, what your plumber will do is recoat the inside of your sewer line with a stabilizing material. Digging is minimal, but the price is often substantially higher and not every plumber has the training and equipment to perform this task. Many homeowners are under the impression that the sewer line coming from their homes is the municipality’s responsibility. Those people get a very rude awakening when they learn that they are actually footing the bill. The city will absolutely fix anything going wrong in the main, a larger sewer pipe that your whole neighborhood drains into. But any drain lines from your house to the junction of your sewer line and the main sewer line is on you. It’s a big purchase, no matter how you slice it. 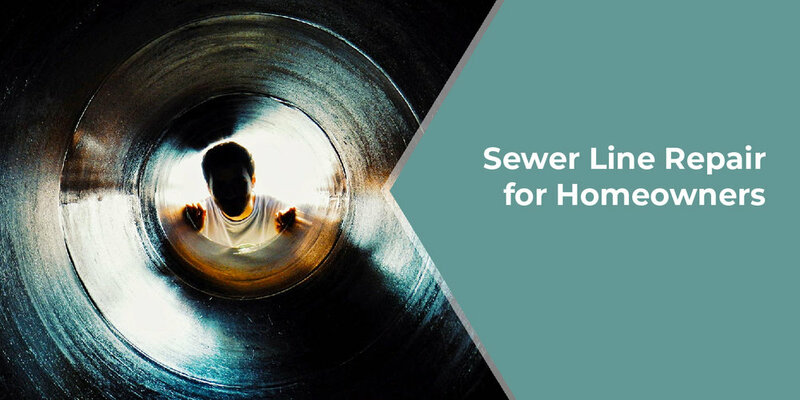 Right now, the national average cost for repairing a sewer line is about $2,570, with a typical range running from $1,071 to $4,078. What you’ll actually pay is based on how much work it takes to get to your sewer line, as well as the remedy you choose, from partial replacement to cast-in-place pipe. Where Do I Find a Plumber I Can Trust? It can be difficult to know if the plumber you’ve put your faith in is as good as they claim. But, when a friend recommends a plumber because of their experience working with them, you know that’s a person you can believe in. If you need an excellent recommendation, give me a call and I can help you figure out exactly who to call for the type of sewer repair you want to have done. Before you know it, that failed line is brand spanking new and flowing like a champ!